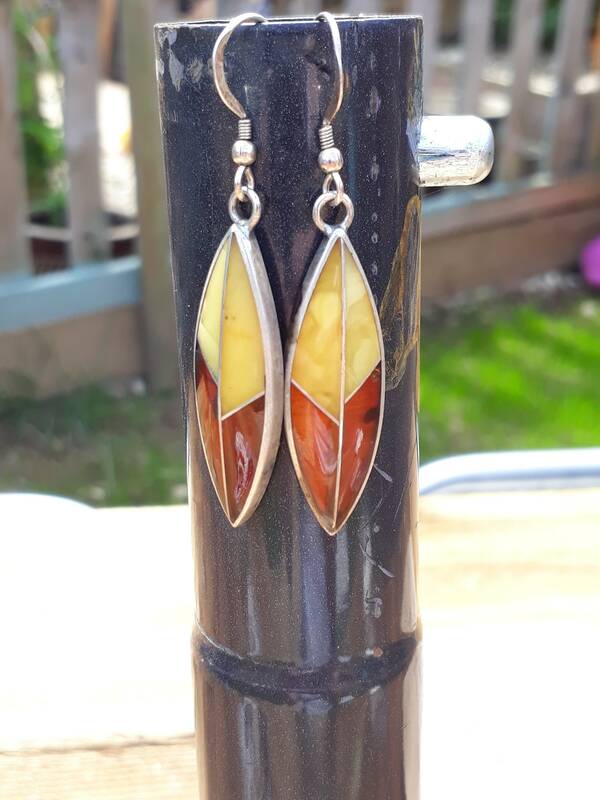 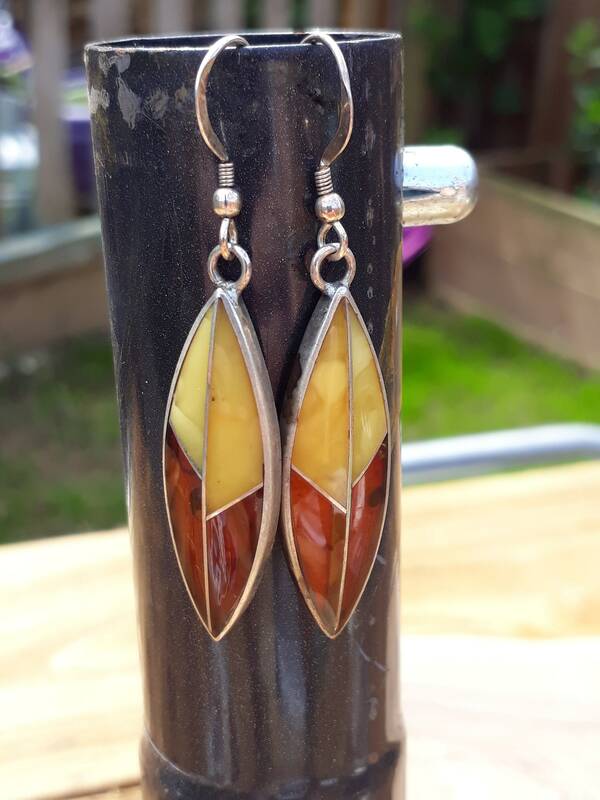 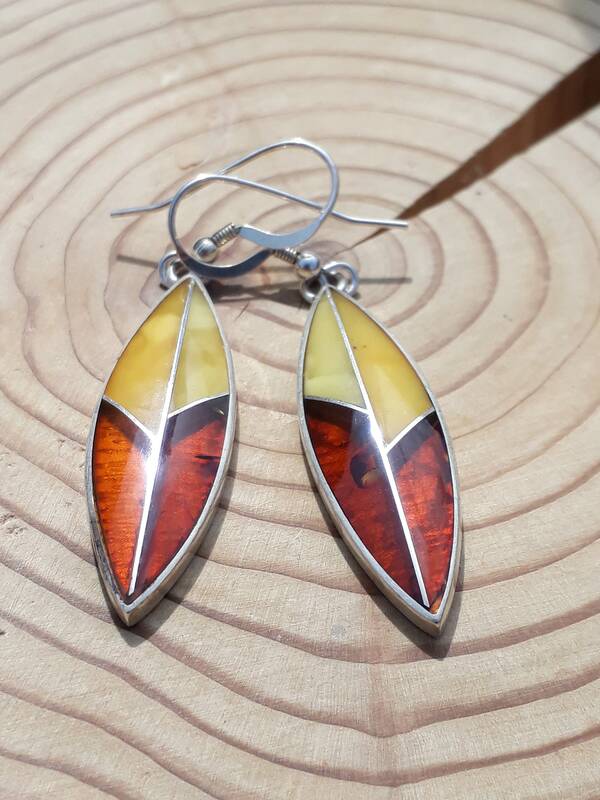 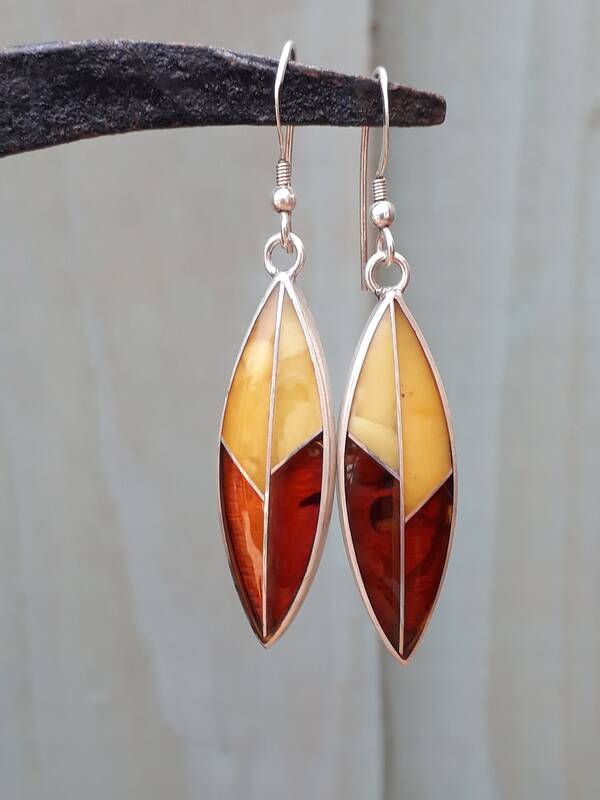 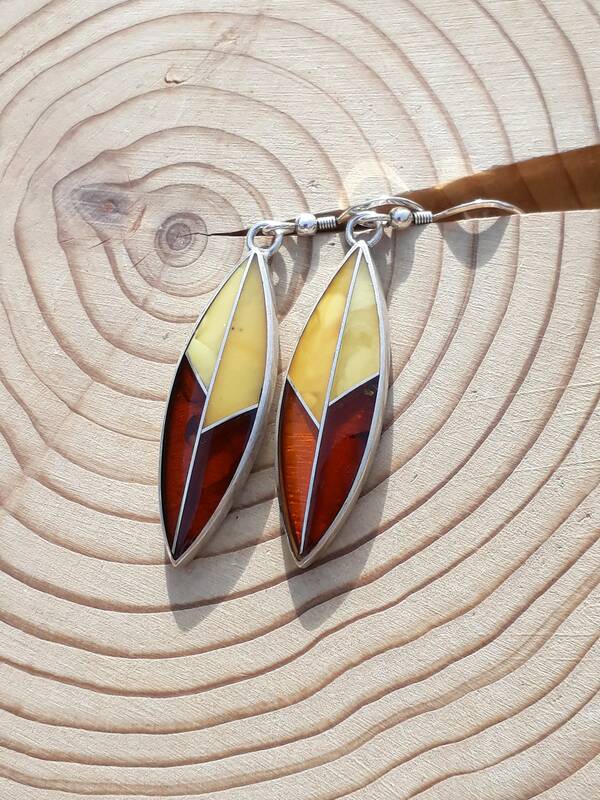 Sterling Silver Amber Drop Earrings, Handmade. 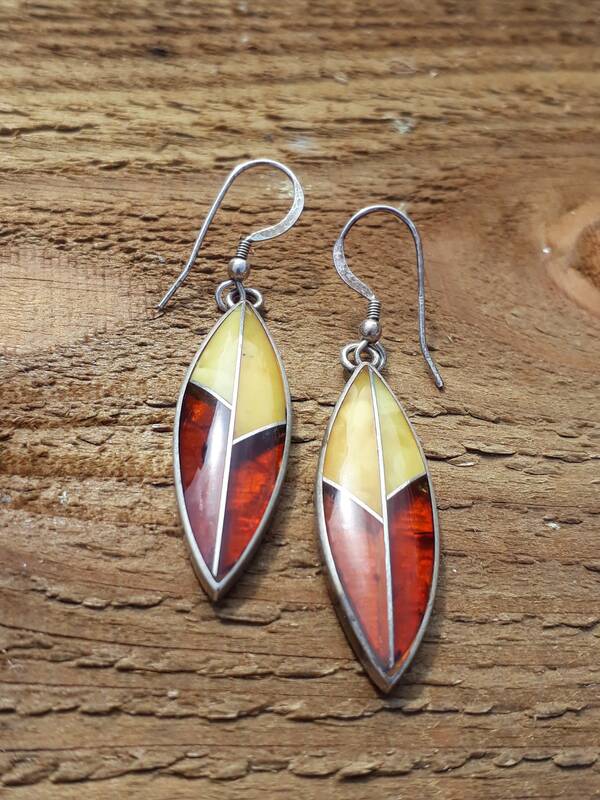 Total Drop Including Ear Wire Measures 56 mm With a Width of 17 mm. 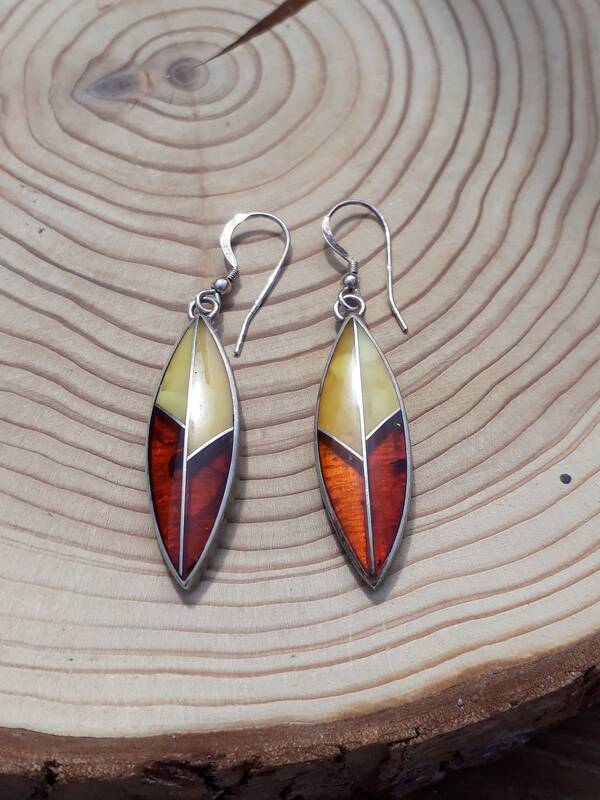 This Would Make A Very Lovely Gift.